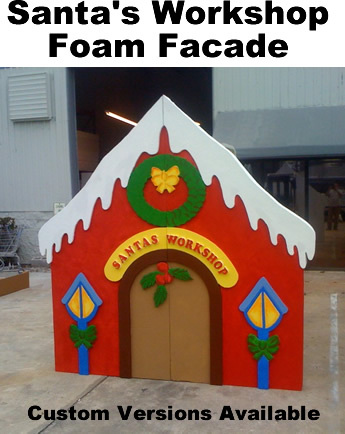 8 Foot Foam Santa's Workshop Display/Prop - Dino Rentos Studios, INC. This sweet facade is 6" thick. Great for retail displays and stage productions. Fully hardcoated for durability and outdoor use. Contact us for custom facades.